iPhone, iPad or iPod is Stuck in Recovery Mode? "Help. My iPhone is stuck in the connect to iTunes screen and I have tried to restart it but it is unresponsive. 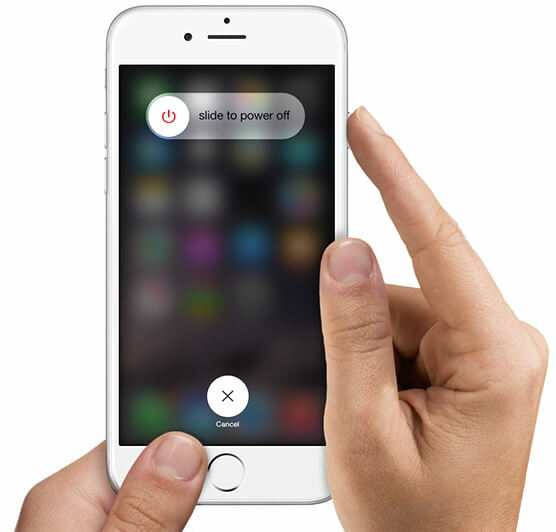 How to exit iPhone recovery mode?" Are you suffering the same iPhone recovery mode loop? Your dear iPhone, iPad, or even iPod suddenly shows the iTunes logo with USB. If you connect it to iTunes, the only thing you can do is to restore your device to its original factory settings, which will erase all data and settings. Moreover, in many cases iTunes cannot recognize your iOS device in recovery mode and you can't do anything with iTunes to put iPhone, iPad, iPad out of recovery mode. Why Your iOS Device Is Stuck in Recovery Mode? 1.	iPhone (or iPad, iPod) could automatically go into recovery mode after iOS update or downgrade, such as after iOS 8/8.1/8.2 upgrade, iOS 7.1/7.0.4/7.0.3 update. 2. When there is an issue after restore or after restore a backup, your device is stuck in restore mode loop. 3. When trying to jailbreak your iPhone, you might run into the unexpected recovery mode. 4.	iDevice is frozen and stuck in recovery mode after an update to a new firmware, or a downgrade to an older firmware. 5. When you intentionally put iPhone in recovery mode to solve an issue but for some reason iPhone stops responding just then. Still, no matter how your device is stuck in recovery mode, you can easily make it exit recovery mode without iTunes, without restore and without data loss. How to Exit iPhone/iPad/iPod Recovery Mode? 1 Click to Free Get iDevice Out of Restore Mode. Getting iPhone or iPad, iPod out of recovery mode is very easy as long as you use Any iOS System Repair (ReiBoot), the free and professional software to get iDevice out of recovery mode. You have no need to use iTunes, or use the Home & Power buttons, so that you will never lose data, settings, or any other contents on your device. Free download Any iOS System Repair (ReiBoot) on any Windows 10/8.1/8/7/XP/Vista computer and just with 1 click, you can easily remove iPhone from recovery mode. If you have a Mac running OS X 10.10/10.9/10.8/10.7/10.6, go to the Mac version, Any iOS System Repair (ReiBoot) for Mac. Both of the software works for iPhone 6, iPhone 6 Plus, iPhone 5S, iPhone 5C, iPhone 5, iPhone 4S, iPhone 4, iPad Air 2, iPad mini, iPad Air, iPad mini 2, iPad mini, iPad 3, iPad 2, iPod touch 5, iPod touch 4, and more other iOS devices. 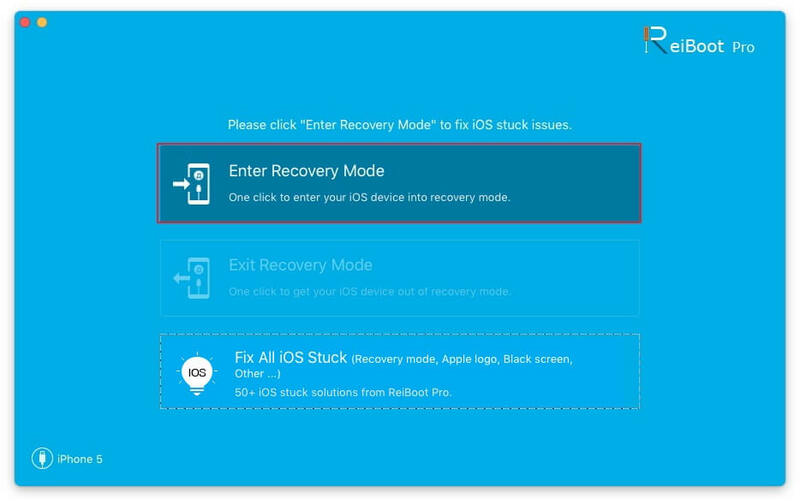 Here is the Any iOS System Repair (ReiBoot) user guide to show you how to get your iPhone out of recovery mode without Power & Home buttons. All the steps are also applied to iPad, and iPod. 1. Connect the iPhone in recovery mode to your computer via a USB cable. Double-clcik Any iOS System Repair (ReiBoot) to run it. Then this app will automatically detect your iPhone in recovery mode. 2. Click "Exit Recovery Mode". Then Any iOS System Repair (ReiBoot) will help iPhone exit restore mode and force your iPhone to reboot to normal. After a little while, you will see your iPhone revive and it runs smoothly. Any iOS System Repair (ReiBoot) is the exact program for you to tick out of iPhone, iPad, iPod recover y mode.